Store your TV set and accessories in style thanks to the Ematic 3-Shelf TV Stand. Holds any TV up to 62”, and it also comes equipped with ample storage space for your accessories. It provides space for audio and video components, DVDs, remotes, books, decorative items, and more. Watch a DVD, and then store it on one of the tempered-glass shelves underneath. A sleek, laminate finish adds to the contemporary decor of your living room. 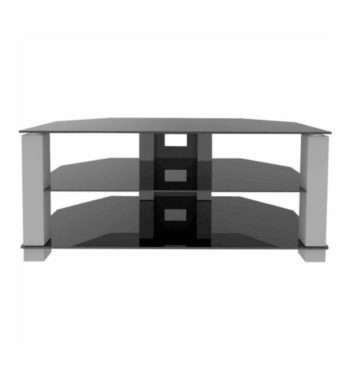 Built with a sturdy frame bolstered by strong, vertical steel panels, this 3-Shelf TV Stand by Ematic will stylishly hold your TV, and more, with ease. 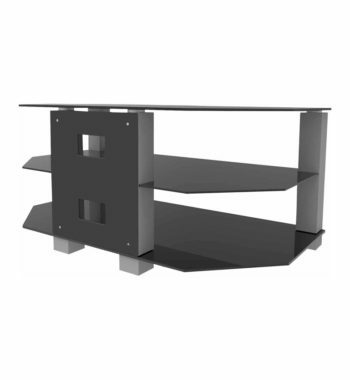 Store your TV set and accessories in style thanks to the Ematic 3-Shelf TV Stand. 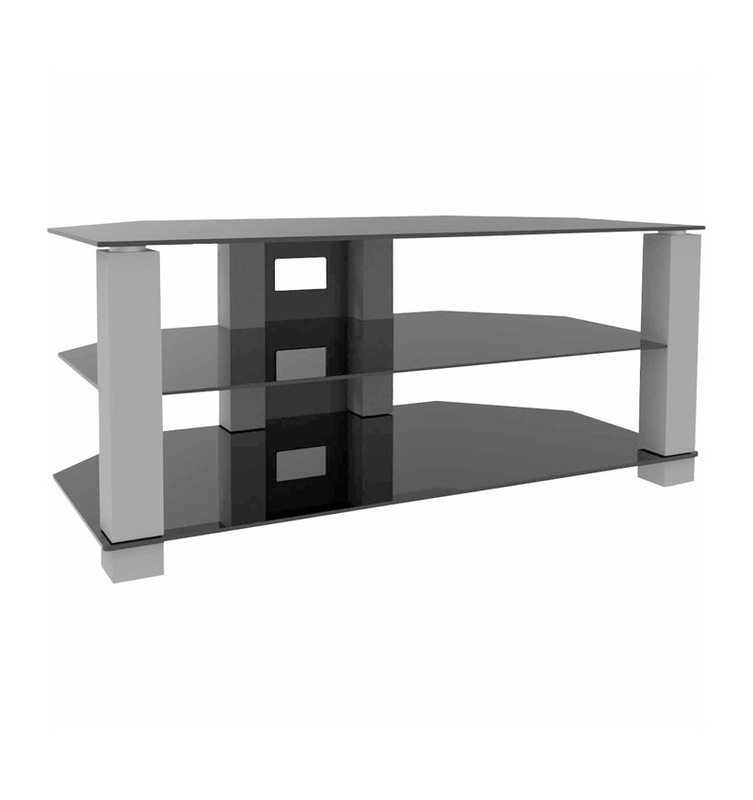 Holds any TV up to 62”, and it also comes equipped with ample storage space for your accessories. It provides space for audio and video components, DVDs, remotes, books, decorative items, and more. Watch a DVD, and then store it on one of the tempered-glass shelves underneath. A sleek, laminate finish adds to the contemporary decor of your living room. Built with a sturdy frame bolstered by strong, vertical steel panels, this 3-Shelf TV Stand by Ematic will stylishly hold your TV, and more, with ease. It is both a great display and storage solution.